Break time? 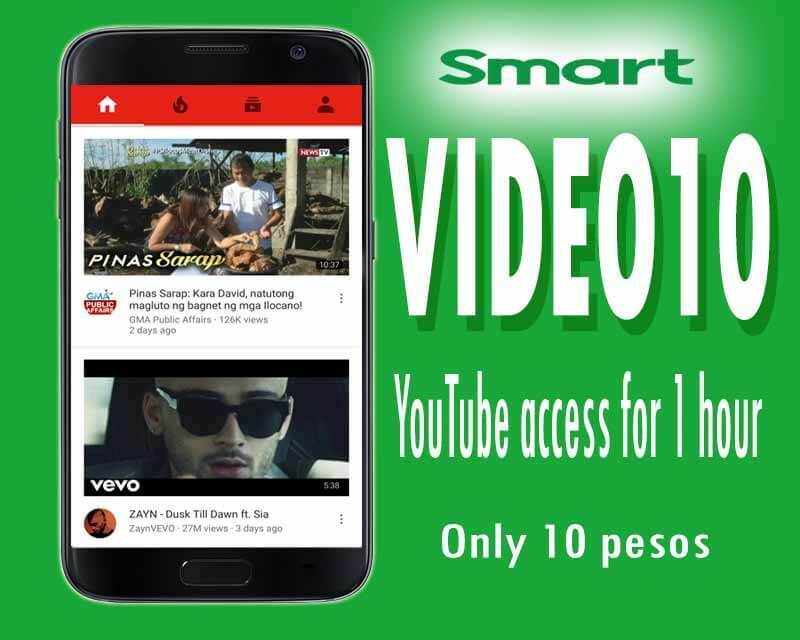 The Smart Prepaid Video Time Out promo lets you can enjoy unlimited YouTube streaming for only 10 pesos. The VIDEO10 allows you to watch videos for 1 hour without worrying your data consumption. If you’re more on video content who loves to watch videos while traveling and on the go this promo is perfect for you. Watch helpful tutorials, follow your favorite vlogger, watch latest music video and viral contents on YouTube when you subscribe to this new video streaming promo offered by Smart. The subscription is not yet available directly via Smart load retailer menu, but you can use the SMS keyword to register to this offer. If you want iFlix and iWant TV video streaming, you can try their Video Prime 299 – 5GB data for 15 days. Be sure to wait for SMS notification from Smart before you start using this promo. Install YouTube app for smooth and quick navigation of your favorite videos. You need to maintain P1 prepaid account balance to continue using the promo until it expires.